Available from Subterranean or Amazon. Listen to an interview on North Carolina Public Radio's The State of Things. Check out a YouTube video of my reading at the Regulator Bookshop in Durham. It's a bit over the ten minute limit, so you'll need to watch part 2 to see the whole thing. 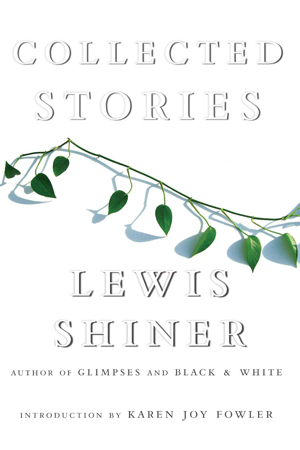 "These 41 powerful stories cover Shiner’s career across three decades and multiple genres, showcasing hard-edged, often political genre fiction at its finest. The oft-reprinted 'The War at Home,' 'The Circle' and 'Till Human Voices Wake Us' remain worth reading, but the less familiar tales really make this collection stand out. The best include the Brady Bunch-tweaking 'Sitcom,' deft alternate history 'The Death of Che Guevara' (original to this volume) and creepy horror story 'Love in Vain.' Several short-shorts, a trio of early mysteries, a Western and some mainstream stories showcase Shiner’s versatility. Perhaps the best tales have only a hint of the supernatural, like the opening tale, 'Perfidia,' a look at the 'real' death of Glenn Miller in light of post-9/11 politics. Shiner never fails to astound, and this collection highlights everything that makes him one of today’s best storytellers."